Can Meditation Make You a More Successful Entrepreneur? I’m sitting on my living room floor, with my back against the wall, my eyes closed. My right shoulder itches, but I’m trying to let that thought—and others like it—meander on past me. I’ve committed to a daily meditation practice for 10 minutes a day, for 10 days. So, I’ll be back in this same place tomorrow. If you were to peer in my window (please don’t, though), I’ll admit I probably look a little strange. However, more and more people are singing the praises of regular meditation. While meditation was once thought to be exclusively the terrain of either devout monks or the quasi-spiritual, the body of research on the benefits of meditation continues to grow. Stay with me—I promise you won’t have to chant unless you feel like it. To put it simply, meditation has the power to change our brains on a structural level. It has been found to increase both connectivity and grey-matter density in the brain, and can potentially improve our health, from prevention of illness to alleviation of physical symptoms, to even slowing cognitive decline. The field of meditation research is huge, and continues to grow. I could write an entire other article on meditation for health, happiness, and general well-being, but for now I was interested in discovering whether or not meditation could help entrepreneurs. Namely, I wanted to know if meditation could help us become more efficient, make us better workers, improve our smarts, and decrease stress. …a more efficient, better worker? If you asked most people to list the things that make them less efficient, a lack of ability to focus would definitely be high on the list. Meditation has long been turned to as a solution to our inability to focus and get enough done, the hope being that if we can focus better, we’ll be more efficient and productive. Some research supports the idea that meditation can increase your memory and ability to focus, which will certainly help improve your efficiency and make you a better worker. How does meditation make you more efficient? One UCLA study indicates that long-term meditators have increased “gyrification,” or folding of the cerebral cortex, which helps people process information. This, the researchers presume, allows the brain to process information faster, make decisions, form memories, and potentially remain more attentive. Not only that, but meditation has been shown to decrease “mind wandering” and increases attentional skills, all of which will help you stay focused and produce higher quality work. A study by Harvard and Massachusetts General Hospital found that participants who underwent an eight week long mindfulness meditation course experienced a decrease in the grey matter density of the amygdala, which is responsible for emotions, survival instincts, and memory. While a decrease in density is rarely considered a good thing, when it comes to the amygdala, increased size and density is often a result of trauma and chronic stress, meaning that a decrease equals a less stressed, more resilient brain. This change in the amygdala was correlated with reduced stress levels, which is great news for those of us looking to eliminate a bit of stress from our lives. In the same study that found that meditation can reduce amygdala size, researchers also discovered that meditation thickens certain areas of the brain, like the left hippocampus and the temporoparietal junction. 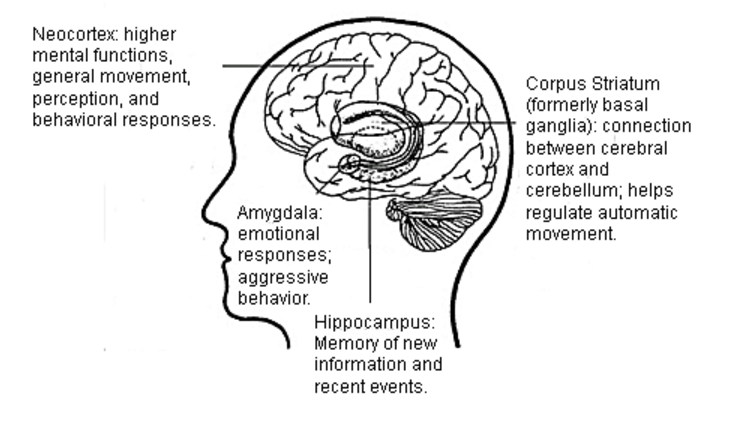 Unlike the amygdala, these are areas we want to beef up. Thickening of the left hippocampus can potentially lead to increased ability to learn, as well as cognition, while the temporoparietal junction, or TPJ, is associated with things like different perspectives and responding empathetically. 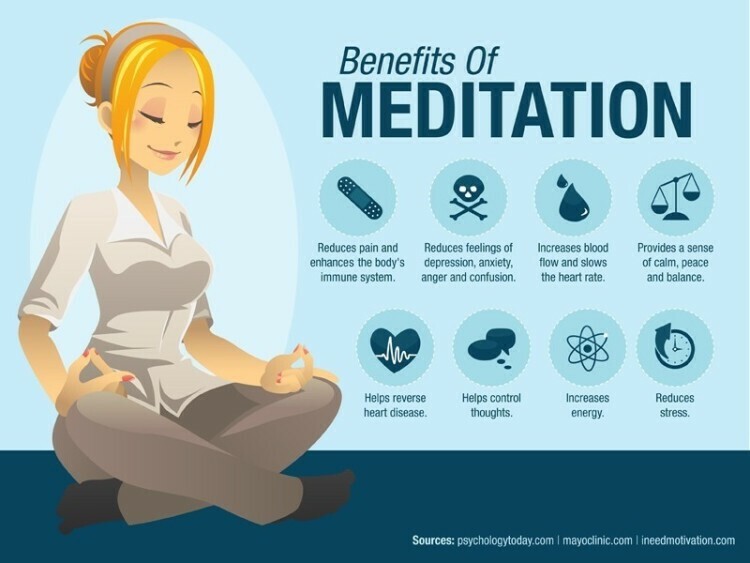 Studies also suggest the meditation can improve neuroplasticity and produce increased gamma wave activity, which can improve brain functioning. The idea of meditation might conjure up an image of a rather spartan existence, but we aren’t recommending you eschew society and creature comforts and meditate for hours like a Buddhist monk. However, given the evidence, developing a meditation practice seems like a good idea. Since there is significant evidence that regular, sustained meditation practice can make a real difference when it comes to our cognitive abilities, how can we put that knowledge into practice? Your meditation practice doesn’t have to be long; 10 or 20 minutes a day is said to be sufficient to start. The recommended length varies (the average daily meditation time in the Harvard study was 27 minutes), so the important thing is to pick something you can reasonably commit to. And, if you don’t have time? Well first of all, you’ll get a major side eye from me—I believe everyone has 10 minutes a day. You’ve probably heard that it takes 21 days to build a habit, but picking any length of time and sticking with it is a good start. Commit to, say, 10, 21 or 30 days of meditation daily, and then assess the process. What worked, and what didn’t? Do you maybe feel like trying out a new style of meditation (more on that in a minute)? Should you lengthen your practice, or were you having real trouble fitting it into your day? Reassess, and then pick another timeframe to commit to. Slowly, it will become habit. While the idea of meditating sounds a bit generic and all-encompassing, there are actually several types of meditation, from zen meditation, to mindfulness (or Vipassana) meditation, to mantra meditation, lovingkindness meditation, and so on. Ultimately, it comes down to what type interests you. Does a particular style resonate with you, and potentially help you flesh out areas of your life you wish were stronger and more developed? If you’re still unsure which type is right for you, this Huffington Post article breaks down the process of making the choice nicely. If I’ve said it once, I’ve said it a hundred times—there really is an app for everything. There are tons of apps for meditation, from the cheekily named Buddhify to the more restrained Meditation Timer Pro. If you’d like an in-depth look at the process of picking a meditation app, the New York Times has an article on that very subject. My favorite? Headspace, which offers a 10 day free introductory before paid membership. The interface is lovely, and the narration by former Buddhist monk Andy Puddicombe is down to earth and understated. If you’re interested in the idea of meditation, you might be wondering how to make it a permanent part of your office culture. We think that’s a great idea; after all, meditating regularly will not only benefit you, but it will also benefit your workers (and so, your entire business) as a whole. Set up a small, dedicated “relaxation” room: Employees can use this room to sit and unwind for a few minutes, do some yoga, or meditate. Invite an expert into your office to share some meditation techniques with your employees. Make meditation a part of your wellness program, and incentivize employees who complete a certain number of minutes per month. The honor system comes into play a little bit here, as it’s hard to track who is actually working on meditation versus just sitting in silence thinking about their dinner, so it’s a good idea to help introduce your employees to meditation. Offer to subsidize the purchase of a meditation app or books on meditation: Paying for your employees to learn how to meditate can be a great incentive, and ties in wonderfully with a wellness initiative. Dedicate a small portion of every day to meditation: If you really feel like going all-out, pick a 10-20 minute period of every day for office-wide meditation. Maybe pick a time in the morning, when everyone has arrived, settled in, and before the day really gets going, or in the afternoon as energy begins to fade a little. If you’re still not sure where to start (or prefer a thorough grounding on a topic, rather than just jumping into it), check out these books on meditation. It’s a pretty big list, so follow your gut and see what sticks out to you. Or, pick one that aligns with the type of meditation (like zen, mindfulness, or lovingkindness meditation) that you’re most interested in. Do you meditate currently? Maybe you plan on starting? What helped you cultivate a meditation practice, and have you seen a difference in your efficiency, stress, or general day-to-day life? Let me know in the comments, or let us know via Twitter @LivePlan. Or let me know personally @BrianaMorgaine, I’d love to hear from you!